A rated uPVC windows offer Superb heat retention which saves on heating bills as well as using less of the world’s energy resources. You can even choose the level of heat retained by looking for the Window Energy Rating label, giving each window an ‘A’ ‘B’ or ‘C’ Rating – ‘A’ Rated being the most efficient. Also, the sealing technology of PVCU will cut out draughts – keeping heat in and keeping you more comfortable. Fully sculptured windows offer a stylish design. The elegant lines resemble timber providing your home with that extra touch of class. Underneath its striking, fully-sculptured good looks is one the most technically advanced frames on the market, with superior weather resistance, heat insulation and physical strength – all from a recyclable material. The window design will accept any glazing requirement making it perfect for homeowners concerned about energy ratings. The most popular choice of window replacement style is the casement window, thanks to its ease of use, simplicity and all-round versatility of design. Put simply, it has hinged opening sections (lights) along with fixed panes, giving you the look that is familiar in conventional wooden windows combined with all the long life, low-maintenance and enhanced warmth and security of modern PVC-U window frames. The entire sash of this double glazed window can be turned back on itself to allow cleaning of the outer side with no intrusion of moving parts on your home's interior - perfect for upper levels of multi-storey buildings - it can also simply open in a conventional top hung fashion. The way your windows open is as much about style as it is convenience. Tilt and turn uPVC windows give you the best of both in a style combining simplicity of appearance with versatility of function. If you are looking for ventilation along with enhanced security in UPVC replacement windows, the tilt & turn may be for you. One turn of the handle and it can simply be tilted inwards giving an opening that lets your home breathe but still resists both rain and intruders. But then it can also be fully opened inwards not only giving you maximum fresh air and sense of space but also letting you clean the outside effortlessly from the inside. And of course, all of this comes with all the long life, low-maintenance and enhanced warmth and security of modern PVC-U windows. Homeowners looking to find high quality sliding sash windows to replace their existing ones won't find better than our range of vertical sliding sash windows. 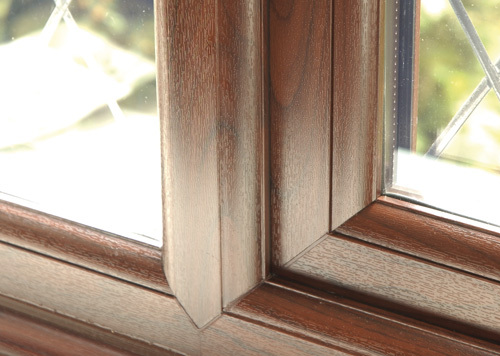 Not only do these replacement sash windows look exactly like their traditional timber predecessors, they are also significantly more energy-efficient and much simpler to maintain. These technically advanced double glazed sash windows offer heritage and technology in perfect partnership. Ideally suited to homes with a traditional look and feel, they offer the added benefits of improved heat retention and security. You no longer need to worry about problematic weights and cords or any of the drawbacks typically associated with traditional sliding sash windows such as swelling, squeaking or continual repainting. With our range of UPVC sash windows you can simply make the most of the effortless gliding operation and relax in the knowledge that when you use our installers, your peace of mind is guaranteed.